Along with new development methods, mobile testing and QA practices have also changed in the last few years, leaning towards continuous integration and continuous delivery. This is pushing companies to abandon their traditional testing approach, moving towards adopting a more agile process to accelerate the products’ time to market. Traditional processes still work, but they cannot really keep up in the fast-paced digital transformation era. New testing and QA methodologies are designed to meet users’ expectations in a continuous way. One step can be started after only the previous one is completed, with no space to change anything in between. If a change is required, the whole procedure is interrupted and starts from the beginning. There is absolutely nothing wrong with this process--except for the fact that is it quite slow. New trends are now changing the mobile testing processes, ensuring both app and test reliability as well as a final product that is able to adapt fast to users’ needs and requirements. The traditional waterfall QA methodology is no longer suited for this purpose. New features and bug fixes need to be released in a matter of days, not weeks or months. QA and dev teams also need to work closely together in a continuous development and testing cycle to ensure a faster time to market. When it comes to new trends in development and testing, you either adopt them or keep doing what you are doing, slowly falling back. The new development and testing trends for both mobile and desktop have proved to release products to the market faster and retain users, thus being more dynamic in adapting to environmental changes and requirements. The tendency is for mobile (web) apps to be developed and tested in a continuous cycle, with short sprints to facilitate cooperation between teams. Agile helps support many practices for continuous testing and delivery processes. With agile development, the close collaboration between development, testing and QA teams is what enables to release updates, bug fixes and new features in a steady flow. Feedback is given in real time, with team members working closely together. This type of development cycle enables apps to be adapted quickly to the environment, ensuring a longer app lifecycle and user retention. The next step after agile is continuous integration and continuous delivery. This represents a continuous loop of development, testing and delivery that never ends, making it possible to deliver better quality software even faster than with an agile methodology. Test automation is what enables agile and CI/CD processes. 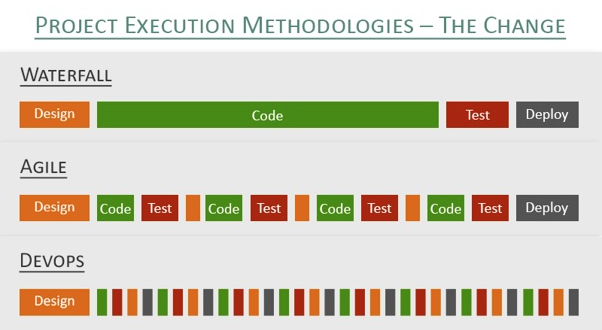 Test automation is one of the key components of agile and CI/CD, enabling parallelization and short release cycles. 80% of tests for mobile applications can be automated, saving 70% of testing time and up to 60% of costs. Edge cases, that are on average 20% of all test cases, should be run manually. Test automation can also be a valuable resource for regression testing. More on the benefits of test automation here. Setting up test automation in the beginning can be challenging. Tests must be thought through strategically and organized for easy maintenance. Additional tests can be added on top of the test base, depending on requirements. As quality is becoming more and more important to ensure user retention, testing and QA have become the protagonists in the development scene instead of being backstage helpers. Tester and QA teams are now as important as developers, because keeping users happy is the final goal. That is the main reason that budget allocated for testing and QA has been steadily rising of about 9% every year. The budget for software testing is predicted to rise by 40% in 2018 and the budget for automated testing by 45%. Creating proprietary software and frameworks is expensive, and by the time you have created all the assets, the market might already need something different. To be able to adapt quickly to a fast changing environment, open source is the easiest way. Putting together assets from open source means that someone else, or a community, maintains tools and frameworks for you. The community can also help adjust the assets to your needs and you can contribute to the community with assets you have created. Cloud services are also a result of this agile environment. With cloud solutions, software and services can be accessed anytime, from anywhere. There are now a number of cloud services to choose from, which eliminate the hassle of setting up and maintaining things, carrying things around, allowing you to have documents and pictures always there and ready when you need them. There are no maintenance costs from your side, because they are already included in the service package. No setting up a complicated and temporary infrastructure, just use an already in-place, stable and proofed grid. By using a mobile cloud, you have all the latest device and OSs ready for testing within two weeks of their release date. Traditional testing and QA methodologies cannot keep up with the rapidly changing environment in which we live in today. Companies can benefit on multiple levels when starting to implement more dynamic processes. Right now, it’s all about who comes first with the best quality product. The bottom line in the software industry is user retention and growth of the customer base. This can only be achieved by having satisfied users. Change can be difficult to adapt to in the beginning, but this kind of change will bring enormous benefits to both the company and the products in the long run.